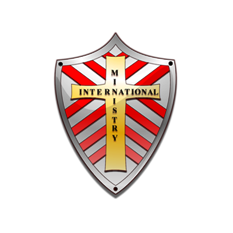 Ministry Certification (Credentialing) – Ministry International Inc.
Ministry International Inc., also known as MII, is a non-profit corporation that was established to activate and minister to ministers. How does MII minister to ministers? MII has 3 levels of commitment. At this time, MII Offers 9 benefits. The first five benefits are offered to all ministers, with a no walls approach toward all ministers who proclaim Jesus Christ. This is Level One Ministry to Ministers:* Personal ministry to ministers through MII’s International Association Membership (I.A.M.) which offer great experience in specialized areas. * Experienced advice on ministry matters. * Opportunities of fellowship at luncheons and special meetings held by MII’s I.A.M. *Seminars, conferences and retreats, offered through our experienced I.A.M. in specialized areas. When a minister with two or more years of pulpit experience chooses to be a part of MII, we become a covering to this God-chosen minister. We take on more responsibility to see their ministry activated by adding two more benefits. This is level two Ministry to Ministers:* Ministerial Credentialing as a licensed minister with MII. * Assistance in helping you set up your ministry correctly, as a non-profit organization, recognized as tax- exempt in your state or we will advise you on the best way to move your ministry forward legally. * Ability to receive income to your ministry through MII’s special MPC program. * To be a part of a larger vision, giving you the ability to connect with people across the USA and the whole world. * Plus Level One and Level Two benefits. For more information on MPC Benefits, CLICK HERE. Title of Bishop requires a combined total of ten or more years of pulpit ministry (teaching, preaching) experience and/or Bible College education. You must Partner with MII for a minimum of $25.00 per month ($35.00 if seeking married couple credentials) or you may choose to tithe (10% of your income) monthly to MII. Ordained Minister requires a combined total of five or more years of pulpit ministry (teaching, preaching) experience and/or Bible College education. Ordained ministers must also prove spiritual covering to five or more active ministries and must Partner with MII for a minimum of $25.00 per month ($35.00 if seeking married couple credentials) or you may choose to tithe (10% of your income) monthly to MII. Licensed Minister requires a combined total of two or more years of pulpit ministry experience and/or Bible College education. Licensed ministers are required to Partner with MII for a minimum of $25.00 per month ($35.00 if seeking married couple credentials) or you may choose to tithe (10% of your income) monthly to MII. Helps Minister requires you to be currently working in a non-pulpit ministry with no time period of experience specified. Helps ministers are required to Partner with MII for a minimum of $25.00 per month ($35.00 is married couple credentialas) or you may choose to tithe (10% of your income) monthly to MII. … to sow a seed into helping ministers? … to be a part of a ministry that helps ministers? … as a minister, to get needed help from a ministry like this? … involved in a ministry that builds no walls between ministers or the Body of Christ? MII offers ministry to all ministers of Jesus Christ. … involved with a ministry that equips ministers with seminars, conferences, and local campuses of the Ministry International Institute? … involved with a ministry that wants to help make sure that I have a sovereign legal ministry? MII’S only ministry is to you. … involved with a ministry that has a no respecter of persons way to help fund ministries? … covering and accountability for my ministry? … fellowship with other fellow ministers in my area, state, other states, and the world?